Anker is one of the Most popular consumer electronics brands on Amazon because it makes products that are the same or better than stuff from big brands, but at a fraction of the cost since it doesn’t dump millions and millions into marketing. 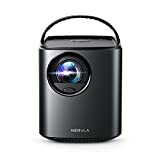 Anker’s products pretty much sell themselves, and that’s definitely the case for its popular Nebula line of portable projectors. Actually, calling them “portable projectors” is selling them short — these are portable home theaters with built-in 360° sound that connect wirelessly to your phone and beam a clear, bright picture onto any wall or projector screen. There are three full-size products in Anker’s Nebula line, and they’re all on sale at all-time lows, today only. 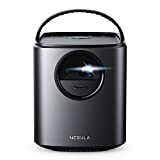 The $430 Nebula Mars Lite is down to $279.99 on Saturday, the Nebula Mars II drops to $361.99 from its full retail price of $570, and the flagship Nebula Mars Portable Cinema drops from $600 all the way down to just $399.99. Definitely check them out. 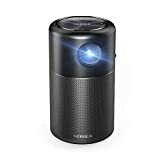 Looking for a deal on the compact Nebula Capsule Projector that’s the size of a soda can? Don’t worry, we’ve got you covered. Use the exclusive coupon code BGRCPSLE and the price drops from $348 to just $265.99! Single-Second Autofocus: Place at any distance or angle and get the perfect picture in 1 second. Brilliantly Defined Picture: A 500 ANSI lumens brightness provides crisp 802p picture with enhanced contrast. Cinematic Audio: Dual 12W speakers flood any room with high-fidelity sound. Extended Viewing Time: A revolutionary 19500mAh battery delivers an unrivalled 5 hours of non-stop entertainment. Total Connectivity: USB 3.2 Port, HDMI input, Chromecast, and AirPlay provide seamless content viewing from virtually any device.